Good visual arrangement for infographics is putting together graphic and visual elements in a manner that draws your reader’s attention. The key to achieving simple, elegant and attractive content are ample whitespace and a well arranged layout. White space is as its name suggests – space that is unmarked in a piece of infographic or visual representation. It could be margins, padding, or the space between columns, text, and icons and design elements. A page crammed full of text and images will appear busy. This makes the content difficult to read. It makes you unable to focus on the important stuff too. On the other hand, too much of white space can make your page look incomplete. An infographic layout refers to the arrangement of your visual elements and your content. When you begin working on a piece of infographic, you should have a story to tell. Hence, you will need to select a layout that best suits your story. Using the right layout will ensure good readability and convey your message well. We have put together a cheat sheet of layouts for your reference. Here are six most common ones that you can quickly work with. Some of them were inspired by NeoMam Studios – thank you for the inspiration! Useful Bait: Works well with most types of data. Rather than focusing on design, it works more for practicality, thus making it easy to read. For instance, a reference sheet where you can print it out and use it over and over again. If your content has many subtopics to a main subject, this layout enables you to segregate them into clean chunks that are easy to consume. Versus/Comparison: This layout is typically split vertically to give clear side-by-side comparison. Use this when you want to tell your readers the differences/similarities between the two items you are comparing. This layout works well if you have lots of “bullet point” information to be visualized. Heavy Data: Use this layout if you are working with a lot of statistics and charts. You can also connect the different points of your data by inserting a flowchart. Road Map: If you want to visualize your process or tell a story, this layout offers good connectivity for your story or process flow. Add compelling screenshots or thumbnails sparingly to accompany your data. Timeline: If you have a history/chronological events to explain, this is the layout to go for. Companies usually use this layout in their annual report or reporting their accomplishments and milestones. Use this layout to tell your story. Visualized Article: If you have complex data or lengthy story, the best way is to tell it is through compelling visuals. So, this is the layout to go for. The focus of this layout is the visuals, not the text. You can also build your content separately into chunks then include a strong title for each and share them on social media. 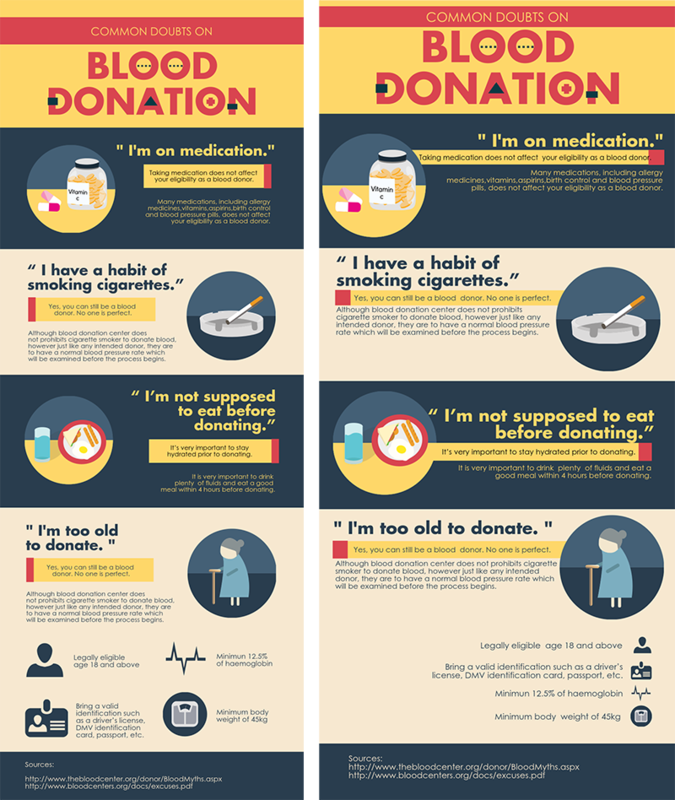 There are many types of layouts that you can use for your infographic. What we have given you above are just the basic few. For instance, the layout could be as simple as a one-column layout when you have very little information, or two columns for a slightly more complex content. All in all, remember that ample whitespace and compelling visuals are important for the reasons mentioned above. If you are not much of a risk-taker, try sticking to Piktochart’s preset layouts and just rearrange the blocks. See the below GIF to see how to rearrange blocks in an infographic template.